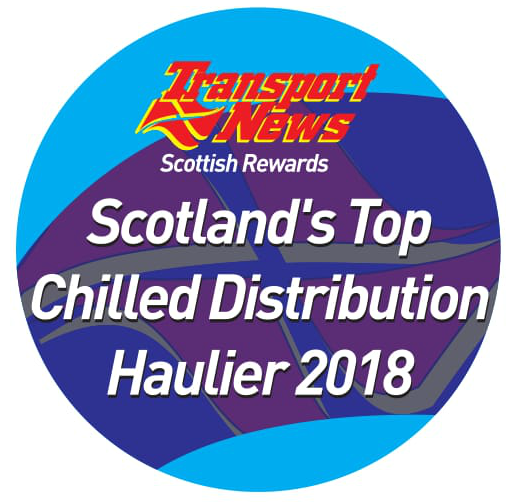 We are delighted to tell you all we have been awarded Scotlands Top Chilled Distributer 2018 from the Transport News Awards 2018! 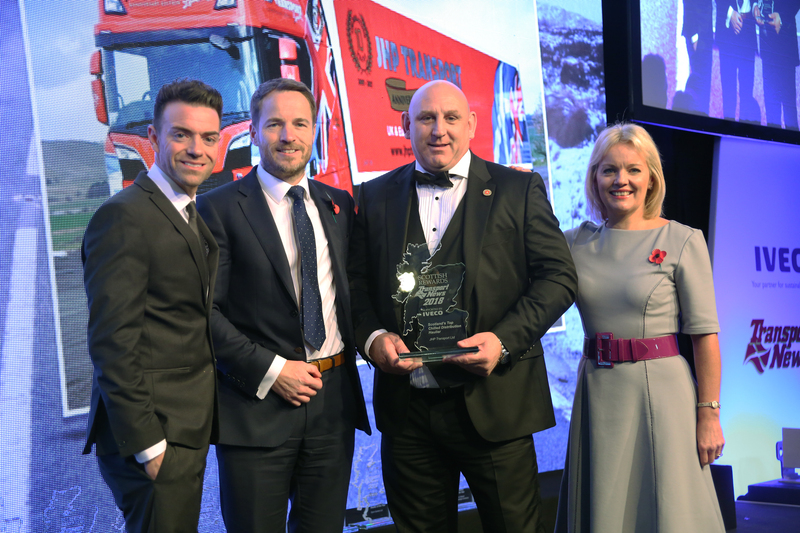 Lanarkshire company JHP Transport lifted Scotland’s Top Chilled Distribution Haulier of the Year title at the annual Transport News Scottish Rewards presentation ceremony held in Glasgow on Friday 10 November. 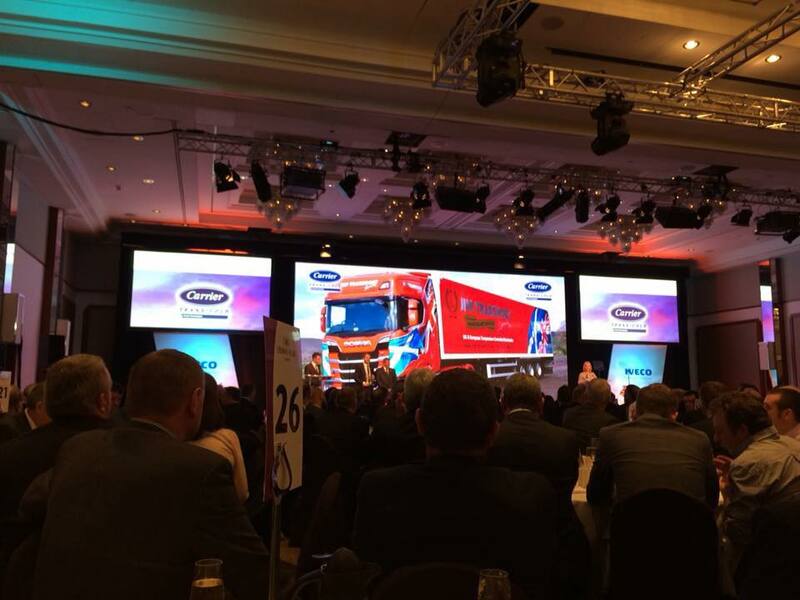 The popular breakfast celebration, now in its 24th year attracted 600 road haulage industry guests and filled the banqueting suite of the Crowne Plaza Hotel. Chilled transport plays a crucial role in Scotland’s food supply chain, surely one of the most challenging areas of road haulage and in the middle of this logistical maelstrom and moving over 360 food related loads every week, is JHP Transport. JHP Transport’s move to a 28 acre site in Rigside during March 2016, literally saw the firm come full circle, as this Lanarkshire village was where it all started. Carefully measured business progress saw this operation run a fleet of seven vehicles by its fourth year and additional customers have permitted further new vehicles to arrive in the years since. The current JHP Transport vehicle complement stands at 27 tractor units and nine trailers. After ten years at the sharp end of running a transport company, Jim Prentice is still passionate about what he does and his complete loyalty to his customers. Attached: Photo of truck in winner’s livery. Scotland’s Top Chilled Distribution Haulier: L to r Comedian Des Clarke, Scott Dargan, manager director Northern Europe for category sponsor Carrier Transicold, handing over the award to Jim Prentice with TV presenter Mary Rhodes.